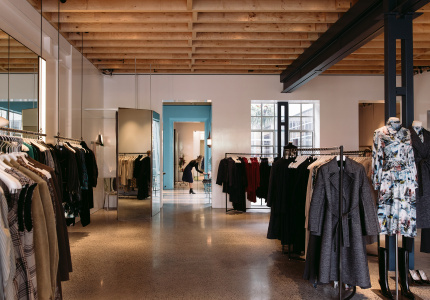 We sat down with directors Kym Purtell and Rachael Cotra to chat about the evolution of one of Melbourne's most loved fashion and design stores. 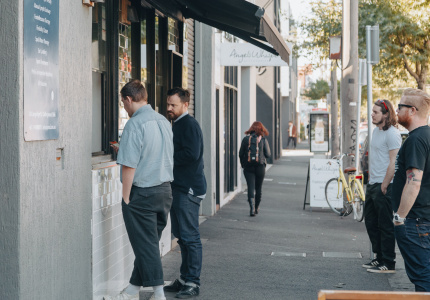 The sixth FAT outpost has turned the concept of FAT’s biannual sales into a year-round reality for Melbourne shoppers, with the FAT Thrift Store on Smith Street. Offering discounted gems from in-house collections alongside items sourced directly from designers, this is a store that’s about keeping it real, with a nod to the grungy, DIY origins of the FAT legacy. In a sense, it brings the FAT story full circle, from lo-fi to high fashion and back again. 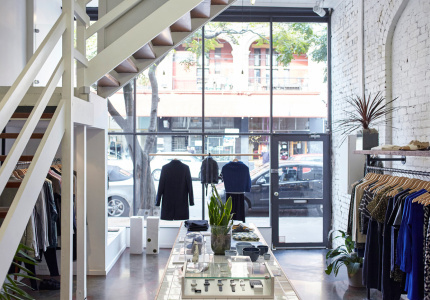 In 1998, Rachael Cotra and Kym Purtell – alongside Sarah Hamilton and Bianca Wiegard – opened their first boutique at 52 Johnston Street, Fitzroy. 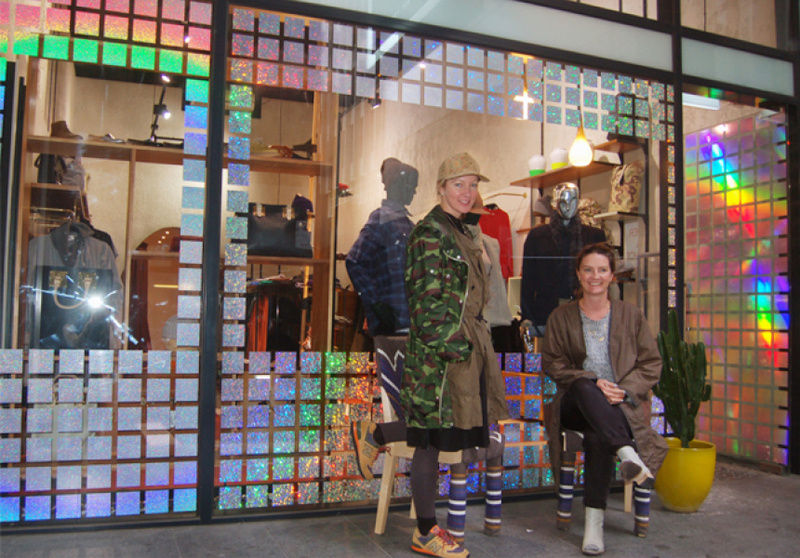 Winning fans with their unique fusion of fashion and art concepts, FAT arrived at a time when independent fashion stores in Melbourne were limited. 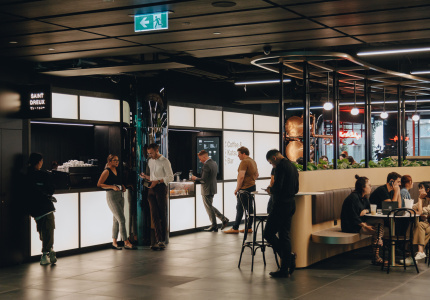 Although Hamilton and Wiegard have since left to pursue other ambitions, Purtell and Cotra have continued building FAT into the mini-empire it is today. FAT stocked Australian labels for their first two years before moving to Chapel Street in 2000, when internationally sourced accessories began to creep into the picture. Since then, FAT has metamorphosed into a multi-brand fashion and design retailer, representing a carefully curated mix of international luxury fashion, street labels and avant-garde design, sourced from Paris, Japan and Australia. In an age when many fashion retailers are floundering in the wake of increasingly prudent consumers, FAT offers an increasingly democratised blend of labels. 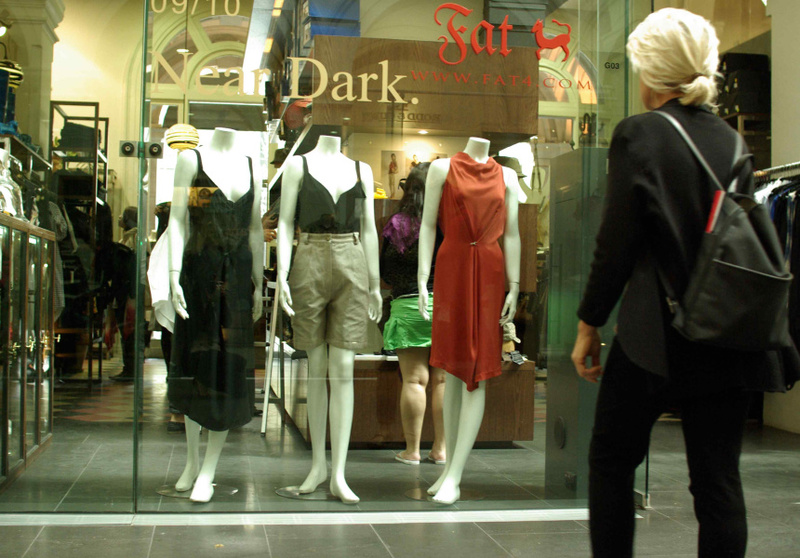 “There are Australian labels that don’t have the same heritage as traditional luxury labels like Comme des Garcons but deserve to sit beside them, so that’s where the democracy of luxury comes into it,” Purtell says. FAT’s in-house collections include quality basics such as Otto (a denim label) and FAT Song (a seasonal collaboration brand that has developed into a colourful capsule knitwear collection). Both lines are designed and mostly made in Australia. Cotra also points to Australian labels like Handsom, which provide a product that’s fashionable, classic and – crucially – affordable. Cotra and Purtell cite Cosmic Wonder, Dover Street Market in Tokyo and Colette in Paris as inspirations. These are no ordinary spaces; all are superlative models of how to showcase product in an innovative, even extraordinary way that merges art and fashion. FAT stores recreate a vintage feel while being firmly planted in the now. Imaginative details such as signature, geometric vinyl floors provide a flowing landscape through which bold, arresting design treasures flourish. And while there is a common thread connecting the stores, each takes a different focus through product, design and approach. 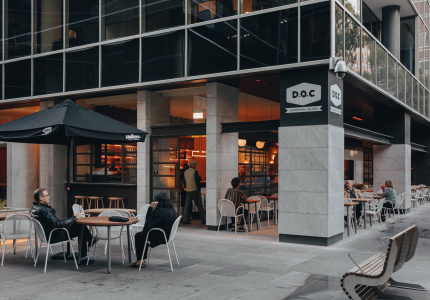 The GPO space is an expansive wonderland, its design premise taking flight from its historic surrounds and drawing influences, Purtell and Cotra say, from Alice in Wonderland, fairytales and artist Mark Ryden. 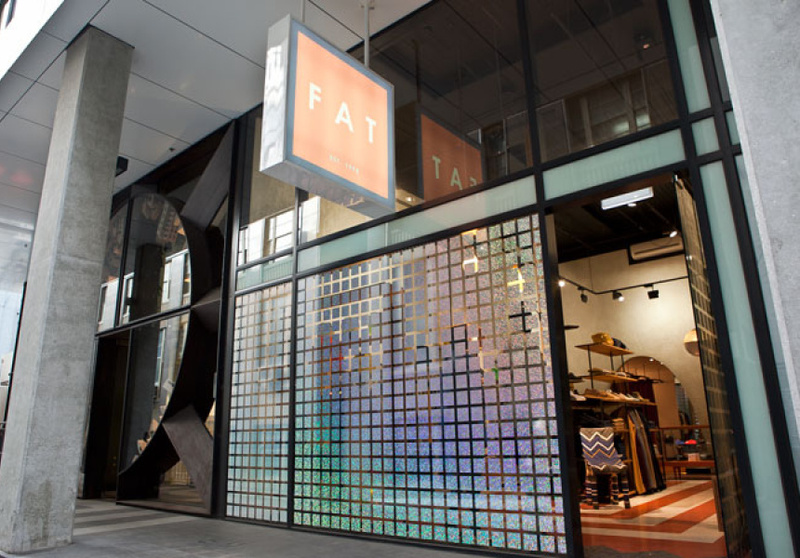 At FAT’s Chadstone store, mall-meets-street in an upmarket boutique, exemplifying the tailoring of product selections to different locations that has allowed FAT to prosper. The Russell Place store, designed by artists and architects Jen Berean and Eugene Nemesi – and perhaps the jewel in FAT’s crown – houses its products in a rarefied space complete with 70s Italian rendering enshrined in holographic windows. 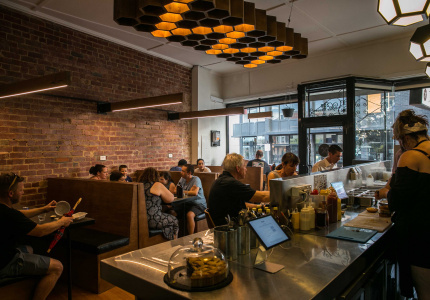 High-end and specialty products take pride of place in this compact location. 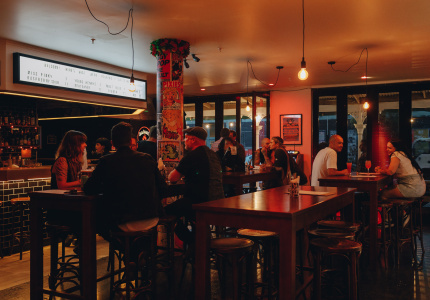 “With Russell Place we’re going back to the beginning for us, that original idea of wanting to showcase things that we love in beautifully presented places,” Purtell says. 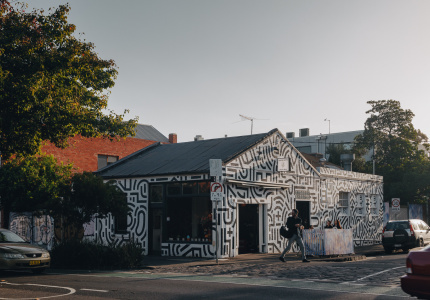 Now, Thrift Store, adjoined by artist studios and harbouring barrels of fun in its basement, is destined to become another creative hub that proves FAT’s mettle in the cultural life of Melbourne, and is yet another throwback to their origins.